When moving interstate it pays to get the right advice! 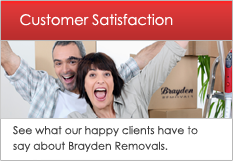 Brayden Removals has been moving Families to QLD now since 1991. When moving home, you need a structured process of service that’s planned out and caters for everything from a grand Piano to your pet canary or Chihuahua. A structured process that ensures the right vehicles arrive, with the right number of staff to load, and a logistical plan that ensures your family air looms and treasures arrive at their destination safely. Whether you are moving to Brisbane, Melbourne, or the Gold Coast, these destinations are not a suburb away. In today’s busy times, most people don’t have the friends or family available to assist with the move, like they did when back in earlier times. Our well-groomed and well trained professionals will provide a quality and personal service that will ensure that your valued belongings will be carefully packed, loaded and delivered, arriving safely at their new home. How we do this, is by packing in “fit for purpose” cartons for any move which is highly recommended – especially when moving interstate. Over the years we have grown at a sustainable rate and have recently added a new Pantech Furniture Truck, delivering your possessions with an air bag smooth ride all the way. The technology that we have invested in gives you added peace of mind. Vehicle Tracking enables you to check where your personally belongings are as updates are provided in real time. Once we have arrived to load the truck you will be meet the team, at this point you should show the driver (who is responsible for the load) what items in particular you are concerned about. After these have been noted you can settle down and relax knowing that we are taking all the care, to ensure that you are happy and stress-free. If you offer the driver a cup of tea and ask him how he has it, he may very well say in a cup, on a plate and generally with a biscuit! So be prepared for that one! Once the truck has been loaded, dates and delivery times have been arranged. We will generally plan the trip after mapping it out and arrange accommodation should it be required. This will enable the driver and their off-sider to arrive ready for action. We always do a quick safety check on the truck before leaving then it time to hit the road. 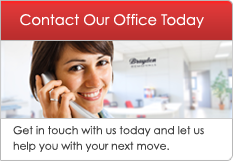 When we arrive at the new address, we will assess your new home for best access, and then do a quick risk assessment to minimize damage to our men, home or furniture. We also are very conscious of ensuring a free flowing traffic for cars exists and that pedestrians such as young children are kept safe. We will deliver and assemble beds and units (if arranged) as directed by our clients. We will place all the furniture in the correct rooms generally with furniture being placed in the rooms first and the boxes following. Neatly stacking cartons so you can unpack when you are ready. Our “Valet unpacking service” has also been very popular so talk to us when quoting your work, – you will be very surprised. 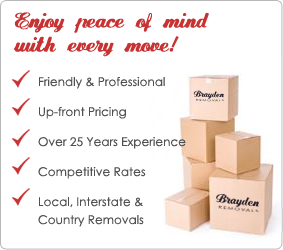 Should you like Brayden Removals to move you from house to home, “make a Smart move“ and call our office today on 02 88834446 for a free onsite. 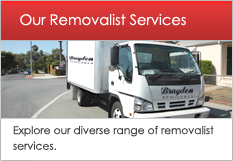 No two removals are the same but with Brayden Removals your move will be in good hands from the initial phone call to the removal of the real estate sign after we have left. 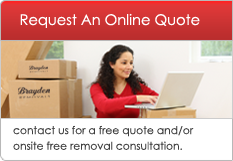 To obtain a free online quote simply complete the form below and we'll be in touch shortly. What type of property is the pickup address? What type of property is the delivery address?